There are many reasons why a homeowner in Vancouver or the Tri-Cities may need to sell their home as soon as they can. These include a variety of circumstances where you simply do not have the time, money, or inclination to continue to keep up a house you own. You could suddenly have to move for a job or because of a change in your familial situation. No matter the reason, Summit Development can help you close on your home in as little as 9 days. We are not Real Estate Agents and there is no need to pay us a commission or any fees. We cover all fees at closing so all you have to do is sign. We Buy Houses As-Is so there is no need for you to do any repairs on your home before selling. We will perform the needed repairs after we buy your home. Do you have a home you need to sell? Well, you are in the right place. 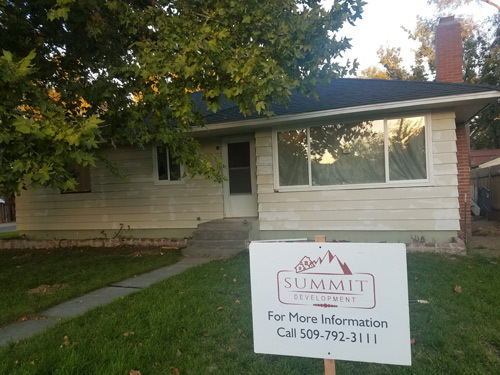 Summit Development, formerly C&E Real Estate, proudly serves homeowners in Vancouver (360-667-5424) and the Tri-Cities (509-591-9196) who need to sell their homes as quickly as possible for cash. What’s more, you don’t need to hire a real estate agent or list your property on the MLS, both of which mean time and money. So when you get an offer from Summit Development, there will be no fees, commissions, or other amounts deducted. What’s more, with Summit Development, we’ll make an offer on your property as-is. That means you don’t need to spend more time and money repairing, updating, and fixing the property. This means that instead of having to spend all that time dealing with whatever current issues exist, you can sell your home to us and be rid of the constant hassle and burden. When you contact us about your home for sale in Vancouver or the Tri-Cities, we get to work right away. We will evaluate your property and decide if we can make an offer on it within 24 hours of being able to see the property. Our Acquisition Manager and his team have been evaluating homes in the Vancouver and Tri-Cities area for decades. Our goal is to be able to remodel and repair the homes we buy so we can put them back on the market and improve the value of all homes in the neighborhoods we work in. This means we’ll need to invest time and money to get the home to the level it needs to be. As such, the amount we offer has to take these extra expenses into account. We take on all the work and risk to sell the home, so we will not be able to offer as much as homeowners who buy off the MLS. However, there are no fees deducted from our offers and you do not have to do anything to prepare the house or continue to deal with it and pay property taxes, fees, and other costs while it sits on the market. Want to avoid having to pay fees and commissions on the sale of their home. Do not want to mess with making repairs and instead want to sell their home as-is. Do not have the time to list the home and show it to potential buyers. Do not want to keep paying bills, fees, and taxes on the property any longer than they must. 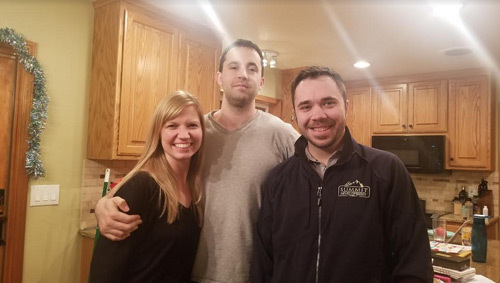 Want to sell their home in just a week or two instead of waiting months. Do not want to deal with a bunch of paperwork (we do it all for you). There are many ways to sell your home because there are many types of homeowners in different situations with different needs. If you have a lot of time and your property is in great condition, listing your home traditionally with an agent to maximize the amount you can earn makes a lot of sense. But not every homeowner is in this situation. If you are still on the fence, the best news is that you can find out what we’d pay for your home without being obligated to accept our offer in anyway. What’s more, there is no fee to discuss your situation with us or to receive an offer. We are here to help. If after looking at your property we both feel that this is a win-win, we’ll move forward. No obligation at all to find out more about what we’d offer. Work required me to move across country just as the Real Estate market hit the bottom. I had to get a property manager and was hoping that I could hold onto it long enough to give the market time enough to hopefully start an upward swing. This situation was not ideal and the rental income was not covering the cost and upkeep of the duplex. Simply give us a call at 360-667-5424 – for Vancouver or 509-591-9196 – for Tri-Cities or fill out our form with your contact information and that of the house you’re wanting to sell fast. The more info you give us, the faster we can make a decision. Keep in all information you share with us is 100% confidential. After we view your property we’re usually able to make you an all cash offer on the spot. Will be able to go over the offer right there and then, as well as answer any questions you may have. If the offer works for you, we will sign a purchase agreement for the house and you can decide how soon you’d like to close and get your money.